KNUST -Katanga and Conti Halls Mark History The University hall (Katanga) and Unity hall (Continental) marks history as they admit female students for the first time since the establishment of Kwame Nkrumah University of Science and Technology (KNUST). The all-male hall converted into a mixed one brought about a whole lot of controversy the past couple of months. Alumni’s of the halls were against the conversion and sought the court for an injunction to prevent the management of the university from converting the halls to a mixed one but their efforts were to no avail since the injunction was dismissed by the court. As of last Friday, female students for the first time spent the night at the previously known all male halls turned into mixed ones. Some of the first timers couldn’t hide their joy for been part of history. Reports indicated that some female students stated they can’t wait to see how real the experience is going to be inside the once known all male halls. Alumni of both halls have protested against the conversion of their Halls but their resistance has been unsuccessful. They had earlier petitioned the Asantehene, Otumfuo Osei Tutu II who is also Chancellor of the institution and President Nana Addo Dankwa Akufo-Addo to help their fight against authorities. Old students of the Unity and University hall after a massive demonstration in the Ashanti Region yielded no results. One of the presiding judges of the case stated that the application by both Katanga and Conti alumni’s came at a later time when the university had already allocated accommodations to students who gained admission to the prestigious university and have started reporting. 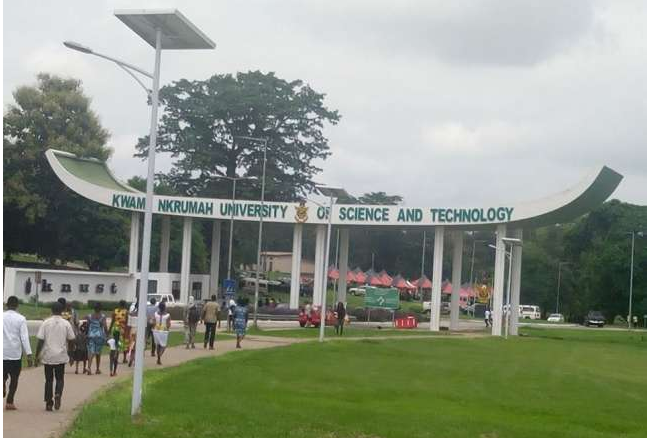 Military personnel’s are being deployed on the campus of KNUST to keep the calm on campus as there has been a heated tension on campus. The alumni did all they could as they strengthened the fight with a massive demonstration in the capital of the Ashanti Region but authorities remained adamant and have since started admitting female students. It was reported that the Lead counsel of Katanga male Halls Stephen Asante Bekoe after the judgement said they will still proceed to the Supreme Court as he disagreed with the explanation given by the court for quashing the case.